I was pretty good at remembering my locker combo. The problem was that I had many different locker combinations to memorize over the years and they would sometimes fight. I would enter the combo and be confused when the lock wouldn’t open. I would enter that same one 2 or 3 more times before remembering where I was and then used the combo from my current time and space coordinates. Also, come see me this weekend at NEWW2! I will shake your hand and then politely wait for you to turn your back before I use the hand sanitizer. I haven’t used a combination lock in years, but I’m increasingly amazed at the ability of the mind to keep memorizing new telephone numbers. I think the theme is codes/input – hence the typing secretly and this? Or maybe it’s hidden codes/input? I saw my locker combo once and remembered it off by heart almost instantly, but when someone (a shop person, I think her name tag said Wanda) was showing me how to use it, she got it wrong three times in a row. I’ve only ever needed one lock that was a combination lock, so I can’t say I’ve ever messed up that badly, Chris. By the way – does it creep you out when random people you’ve never met and don’t know casually use your name, even on the internet? I just realised I should stop doing that, since it does me. I wished we had lockers on our schools :_( But now we have strong backs because we carried an insane amount of books and other school stuff. 27-2-13. 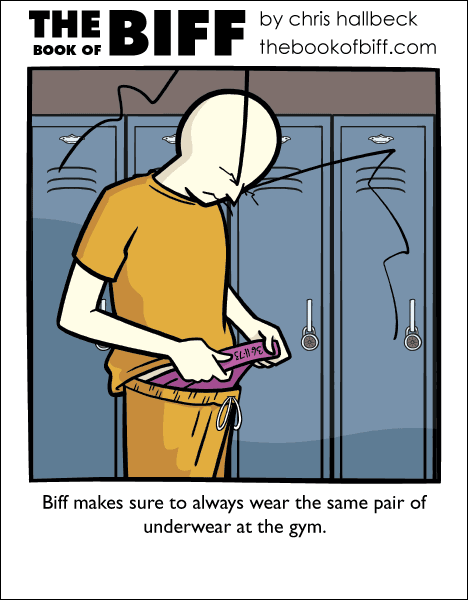 That was my gym lock combination in jr. high. In high school it was upgraded to hallway locker when my other lock (16-10-38) disappeared. I’d be using in on my tool shed now, but I can’t remember where it is. At least I’ll know the combo if I ever find it. We have to keep the shed combo posted in the garage, because neither of us can remember it. I always use a lock with a key. One of my sport trouser has zippers to close the pockets, so no worry to lose it. If I am wearing another one with open pockets, I use a safety pin to attach it. @i.half4 Try a combo lock that’s hasn’t been opened in years and no one knows the combination to it. I still have it today, but still can’t crack it open. Masterlock makes these slick little locks now, with a 4-way joystick – a large button you can rock up/down/left/right. Fantastic for any low-to-medium security situation, like a gym locker. It’s just a pattern to memorize, four directions such as “left left up right” and it just pops open. The girlfriend works 14 hour night shifts, and didn’t like reading tiny numbers on her locker at the end of a long shift. i had to look at this one 4 time to get!